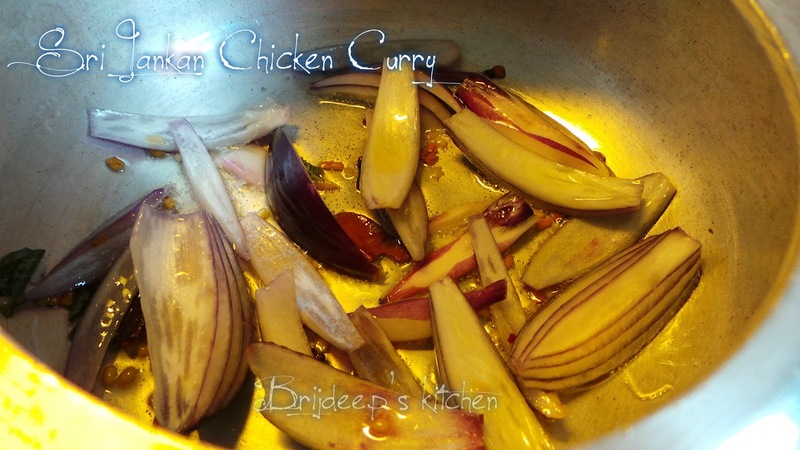 This recipe hails from Sri Lanka, a neighbour of India; so it is made using a lot of ingredients same as any Indian curry, but trust me, it tastes completely different. 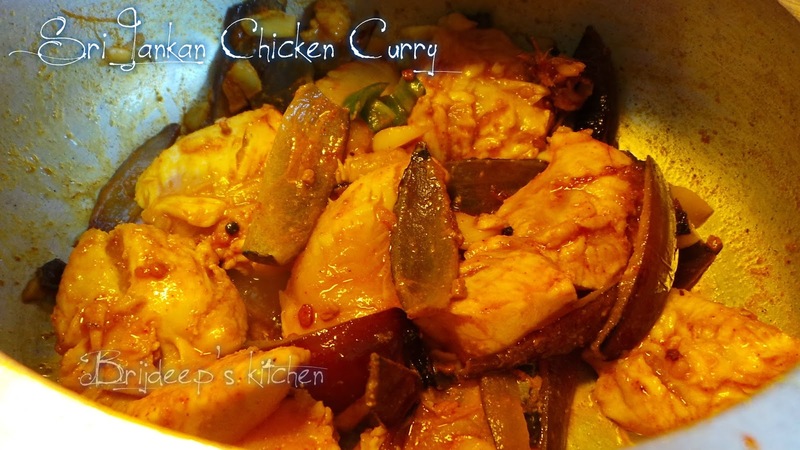 This was the very first chicken recipe when me and my husband had decided to eat chicken every Friday, and so I had decided to begin trying my hand on some different types of recipes, and so this was !! 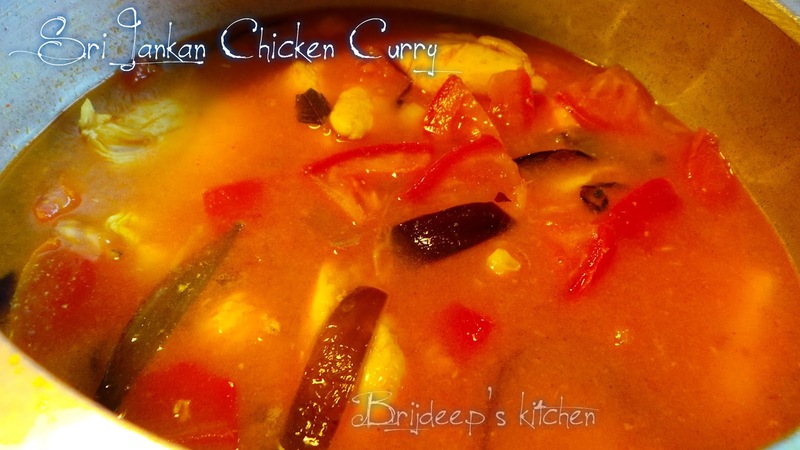 And it tasted awesome, finger licking good.. We had it with plain boiled rice which was in March '14 and for the second time, I have again made this curry, today with a much more refined hand, because ever since in March, I have been trying new recipes EVERY weekend.. 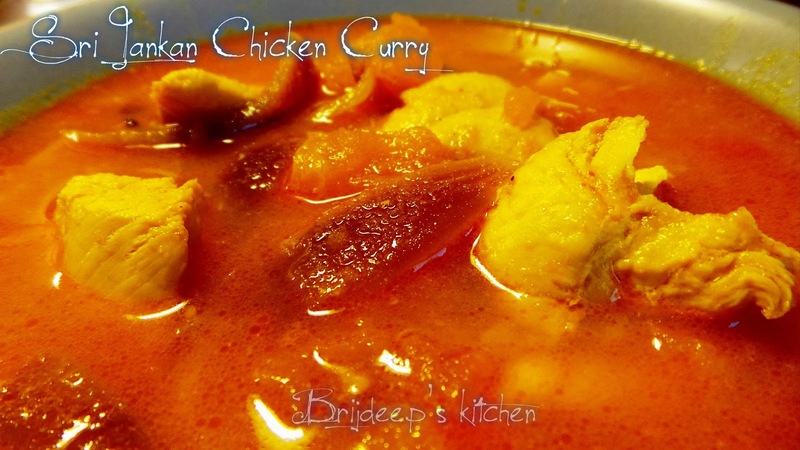 This is the only recipe I have come across which must be prepared in a deep vessel, I prepare it in a pressure cooker (open cooking), but can be prepared into any deep vessel, but not in a shallow pan. Today we wanted to taste something different, so we had it with "Khubba Parantha" and it tasted not only different, but amazing, yet again !! 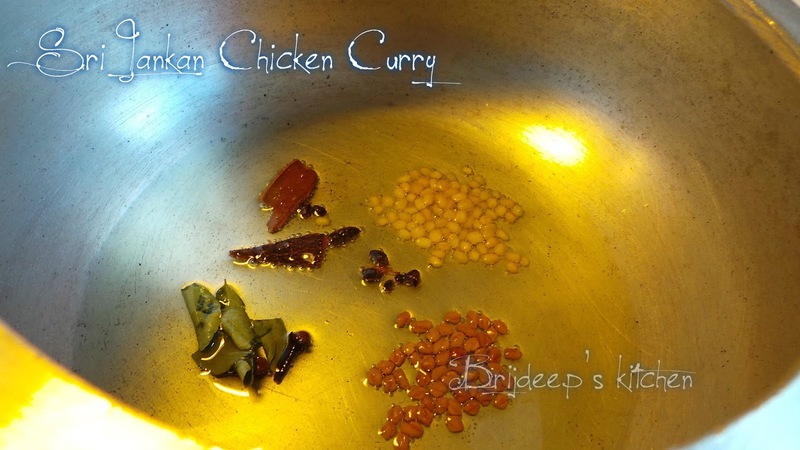 Heat oil in a deep pot/ cooker and add curry leaves and the whole spices: cinnamon, cloves, cardamom seeds, fenugreek seeds and then the urad dal. After a minute, add sliced onions and stir. Saute until they are transparent. Add the chopped ginger and garlic, mix and cook until the onions start to brown. Add green chili, stir and start adding the dry spices: salt, turmeric, red chili powder, cumin powder and coriander powder. Mix well and leave for about a minute. 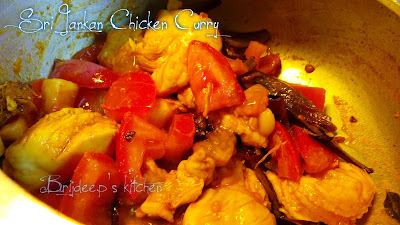 Add the washed and clean chicken (chopped in bite size pieces) and stir it with the masala. Add the tomatoes after a minute. Mix everything well and let cook until the tomatoes are soft and mushy. Add two cups of water to the pot and mix everything well. Bring to a boil on medium heat. 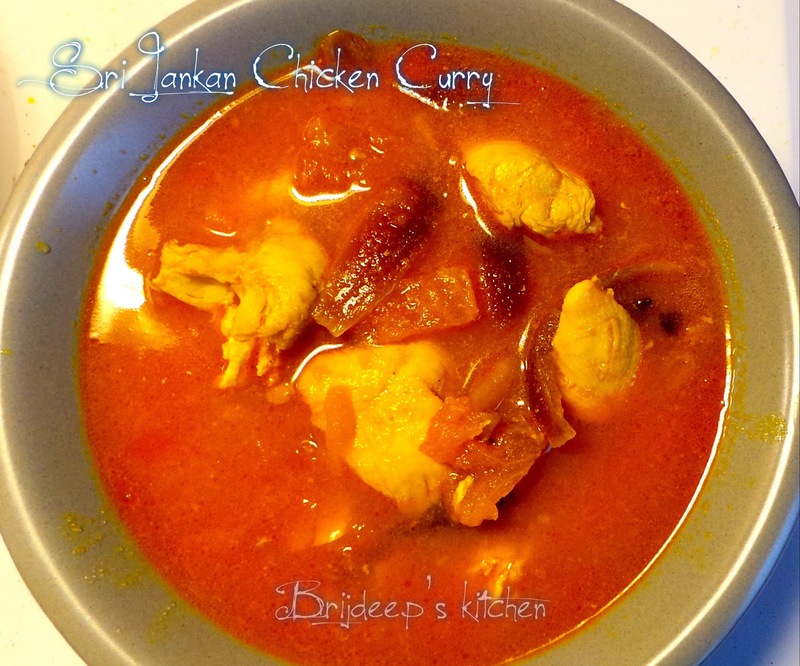 Sri Lankan Chicken curry is ready. 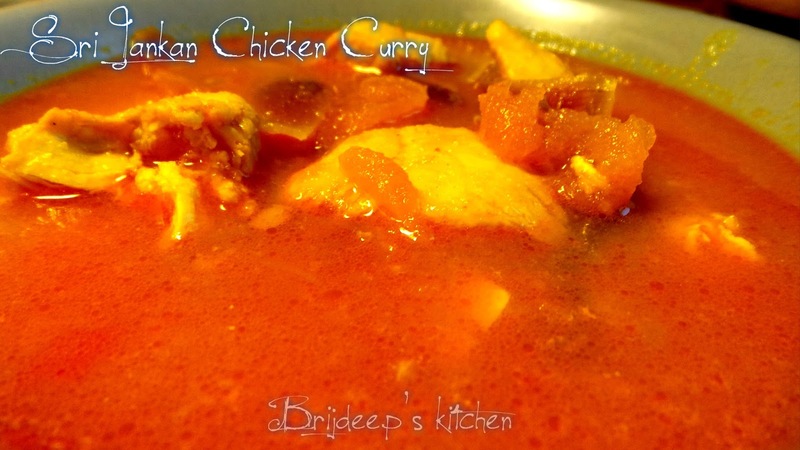 This does not require any garam masala or chicken masala. Serve hot with chappati or jeera rice.